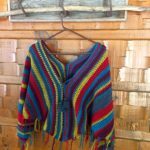 This gypsy style poncho crochet pattern will add some color to your fall outfit. 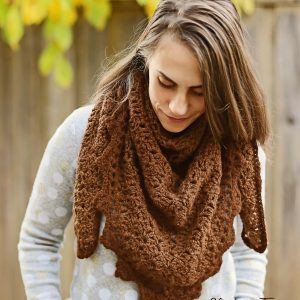 It can be worn in 2 different ways to diversify your style! Tassel ties add some additional flare. 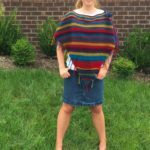 Colorful and fun to crochet, the Gypsy Poncho will become the poncho you reach for when you want to add a little excitement to your outfit. 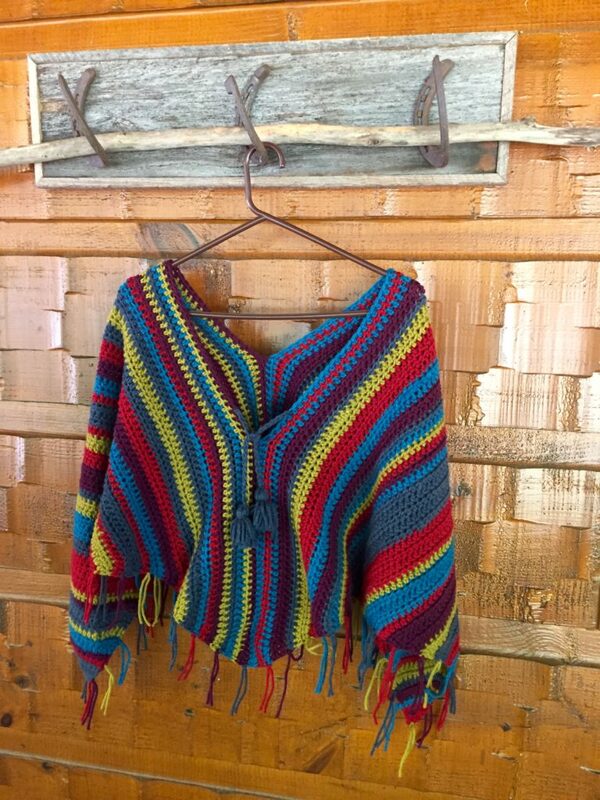 This colorful gypsy poncho crochet pattern is a fun and easy poncho pattern to crochet for you or a friend. 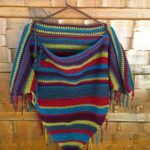 It it sure to be a one-of-a-kind! 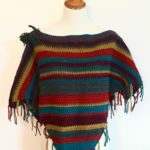 Crocheted in your favorite colors, this unique gypsy style poncho will look great with your skirt, jeans, or dress. 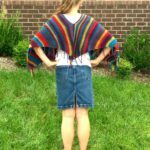 With a repeating stitch pattern, the Gypsy Poncho, is perfect for beginners looking to advance their skills in a fun way. 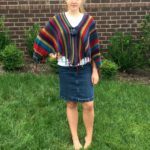 Tassels and fringes add some fun and learning to this pattern. 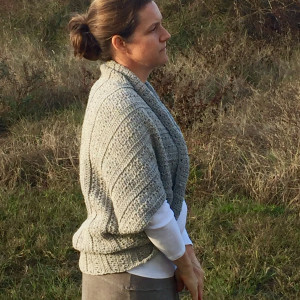 The pattern is adjustable for custom measurements.